If you have bare electrical wiring, you can recycle it as scrap metal. Find out how to recycle scrap metal. Whatever you do, cables should never go in the garbage. They contain metals like copper that make them hazardous waste if they’re put in the trash. It is extremely important that you never recycle cables with other household recyclables. Long, stringy items, like holiday lights, old wires, and coat hangers, not only wreak havoc on equipment, but they’re also a safety hazard to employees. Sometimes, phone and computer chargers can be reused for a different device than the one they came with. So before buying a new charger, see if you have any old ones that will fit. There are actually “green” cables. 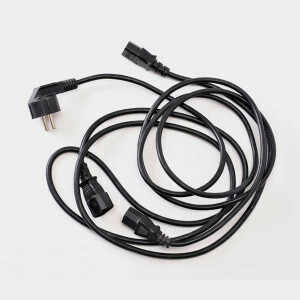 In 2012, Apple and Volex, its power and USB cable supplier, announced that they would be making halogen-free power cables that are less toxic for the environment when they’re disposed of.